All rights reserved. No part of this book may be reproduced in any form or by any e1ectronic or mechanical means, including information storage and retrieval systems, without permission in writing from the publisher, except by a reviewer who may quote brief passages in a review. This ebook is licensed for your personal enjoyment only. This ebook may not be re-sold or given away to other peole. If you would like to share this book with another person, please purchase an additional copy for each recipient. If you’re reading this book and did not purchase it, or it was not purchased fory our use only, then please return to Smashwords.com and purchase your own copy. Thank you for respecting the hard work of this author. 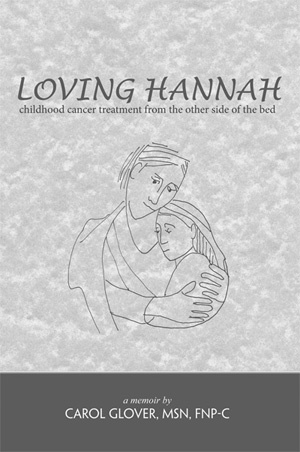 This book is dedicated to all of the skilled and knowledgeable nurses of the Pediatric Inpatient Unit and Maine Children’s Cancer Program who provided outstanding care for us. And to Molly Schwenn, MD, Craig Hurwitz, MD, Virginia Hamilton, MD, and Annie Rossi, MD, the physicians whose knowledge, skills, and commitment to caring for children and families with cancer is unsurpassed. Thank you.